My wife loves this stuff. This is closely based on Deborah Madison’s version in Vegetarian Cooking for Everyone. Put all ingredients in a food processor, and process until smooth-ish. 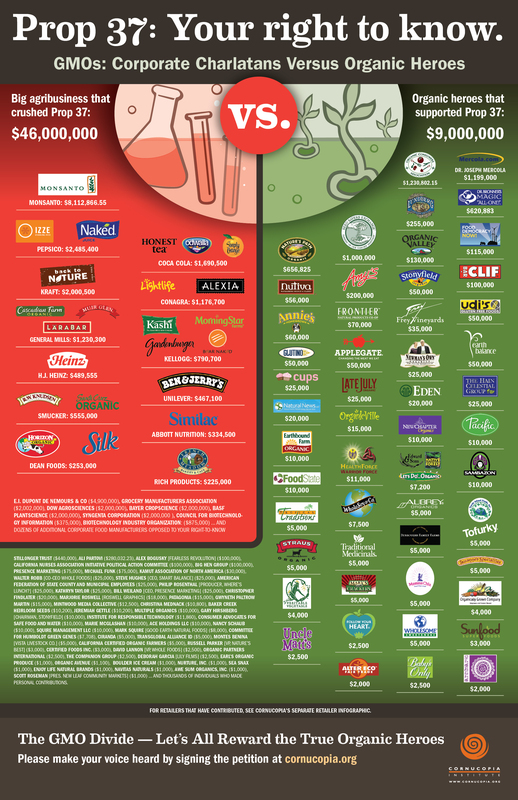 This is an excellent guide to food manufacturers that supported or opposed Prop 37, and quite an eye-opener as to what “natural” brands really are natural, and which, well, aren’t. It’s posted on my fridge and I’ll be using it in choosing what I buy at the grocery store. Thanks to the Cornucopia Institute for producing it. Michael Pollan: “[M]any of America’s biggest food and beverage makers — including PepsiCo, Nestlé, Coca-Cola and General Mills — have together ponied up tens of millions of dollars to, in effect, fight transparency about their products.” (Vote Yes on 37, Californians).